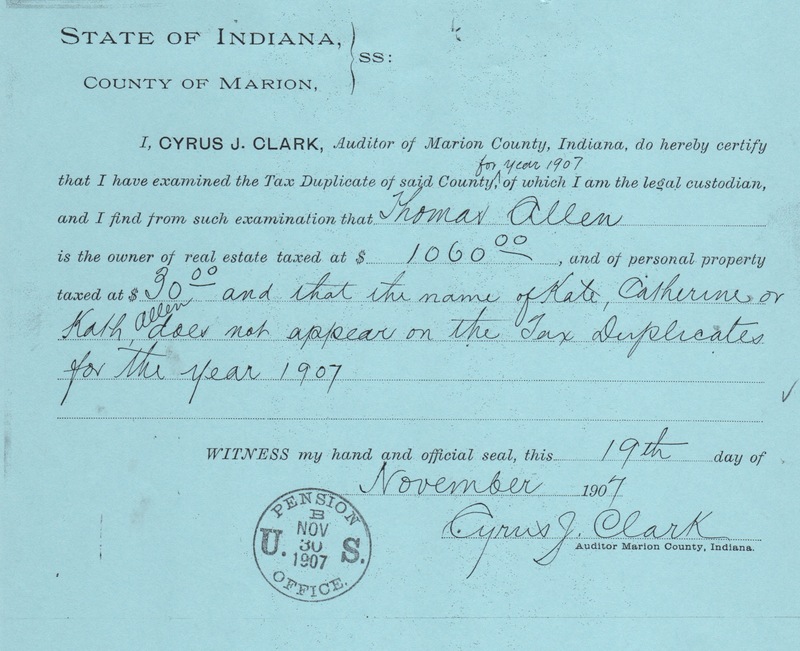 Thomas Allen appears in the 1888 Indianapolis City Directory living at 2715 N. Capital street. He continued to live there until his death. His wife Kate lived there until at least 1913, her last appearance in the City Directory before moving back to Ohio. It appears the house had been mortgaged by 1907. 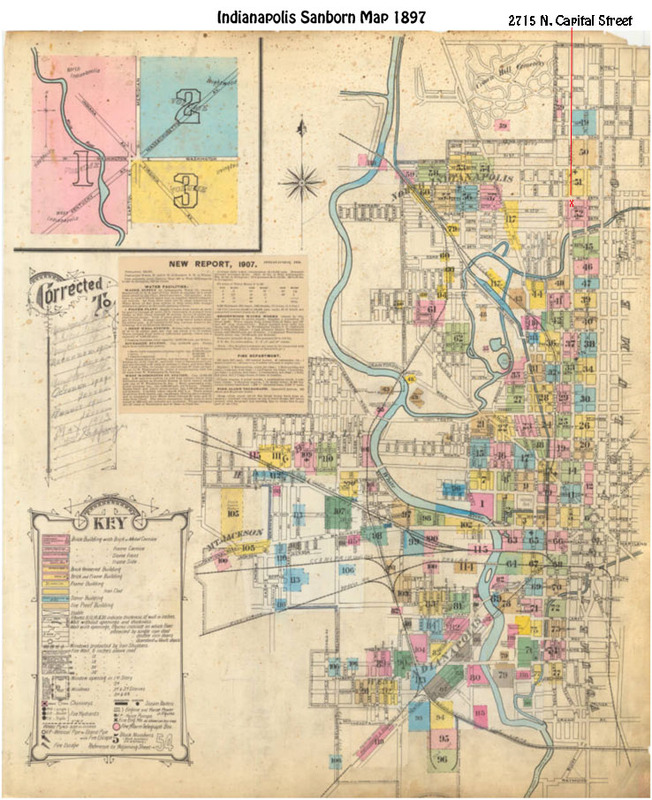 The diagram below is taken from an Indianapolis Sanborn map from 1887. A Wikipedia entry says “The Sanborn Maps were originally created for assessing fire insurance liability in urbanized areas in the United States.” Thomas and Kate Allen’s frame house had 1.5 stories. The half a story meant that the upper story was under the roof and so only half as large as the first story because the eaves take up some of it. The dotted lines indicate a porch. Thomas’ house is 1.5 story frame house. There are two rooms downstairs and two small porches, one in the front and one in the back. It seems to be the smallest house of those shown above. 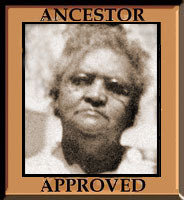 On the back of the lot was another dwelling, numbered 2715 r, where my great grandmother, and her family – including my grandmother, lived in 1902. 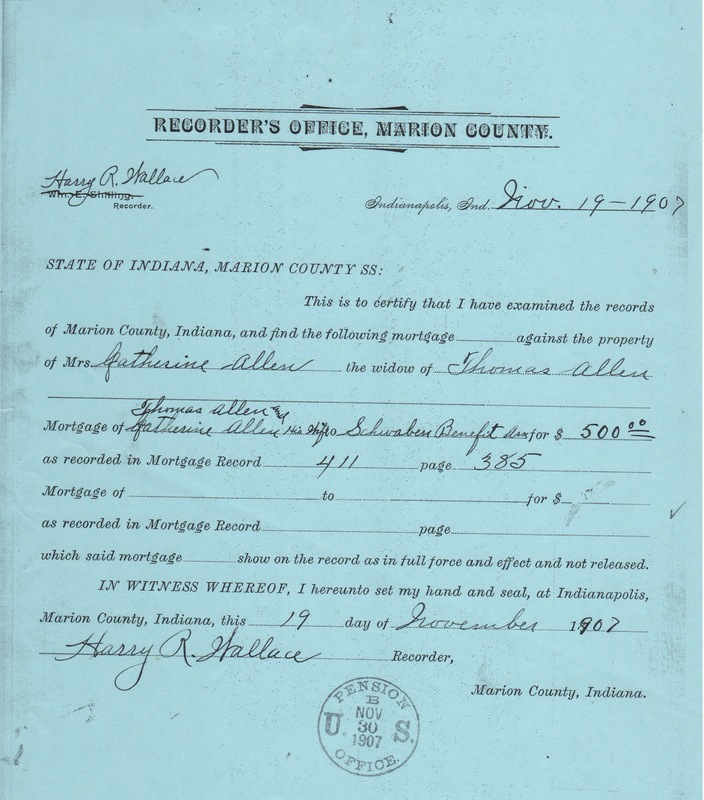 I thought it was interesting that the three black residents, all laborers, owned their houses free of mortgage. And that everybody on this chart was literate. Looking through the enumeration district where the house was located in the 1900 Census, it was a mostly white district. There were a fair number of naturalized citizens and a number who had been born in Ireland or Germany or who had parents born there. This map shows the location of Thomas’ & Kate’s house in the city in 1897. Go to the address at the top and follow the red line down to the “X”. I found the information here in Thomas and Kate Allen’s pension file, the 1900 census on Ancestry.com, the 1897 Sanborn map at this link, and Wikipidea. I would never have predicted how you would have covered a location like this. To see the plans for Thomas Allen’s house was most unexpected. Great research again. I thought this would be an easy one until I got started. Quite interesting to look at who his neighbors were. Fascinating. I’d never imagined you coudl get this kind of information on ‘official’ papers. But then, I’m not used to research archives. If you can just find the right official papers, you can find just about everything. Now this is cool. Gives even more detail and insight into their lives. Perhaps it’s a just a coincidence, or maybe it shows the priorities of some people who think owning their house is more important? 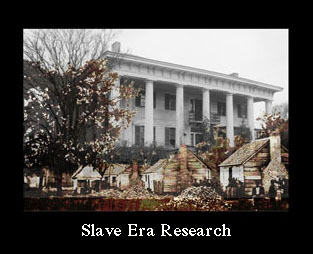 Another difference was that the three black families who owned their houses free, had smaller households. I should look at age too. So much to investigate if I’d only had a week for each post! Amazing post! You’ve given me ideas here with the annotated Sanborn Map. Sometimes these maps are the only evidence I have of houses where my ancestors lived, now torn down. I can’t wait to take another look and correlate them with census data. Thanks! After I finished this, I wanted to go see where and what types of houses the other people in this series lived in. 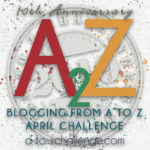 Terrific resources to have delved into with interesting insigh S into the lives of the Allens and their neighbours. So many ways to look at people. Take a second look at the Sanborn map. It has 2715 2727 at the front of the lot and 2727 2715R at the back of the lot. Then look at the city directory. 1902 – Reed, Anna (wid. Palmer) b rear 2715 N. Capital Ave.
Reed, George lab. h rear 2715 N. Capital Ave.
1904 – Reed, Annie (wid Palmer) h rear 123 W. 28th St.
1905 – Reed, Annie (wid Palmer) h 2730 Kenwood Ave.
Reed, George A., lab b 2730 Kenwood Ave. The house at the back of the lot is behind 123 W. 28th in 1904. 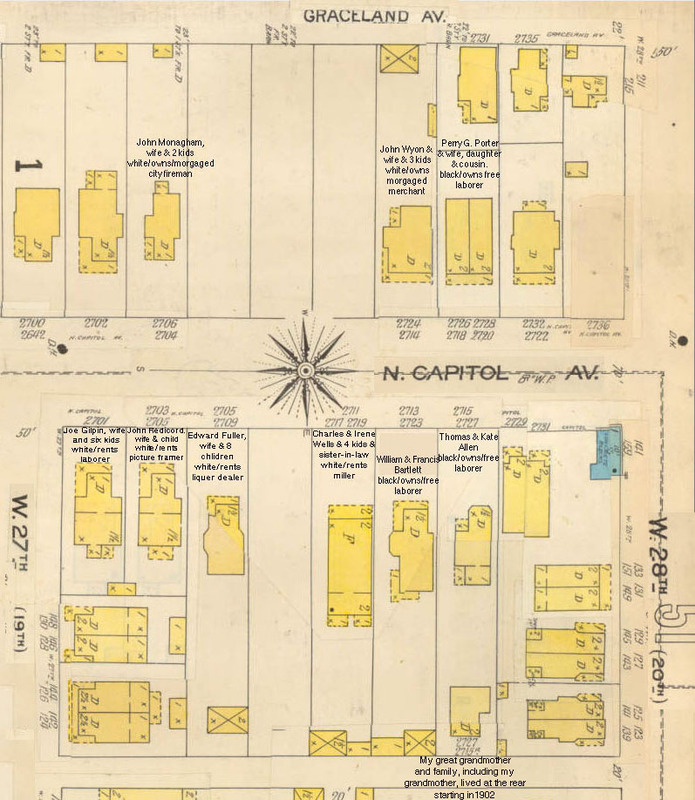 On the 1915 Sanborn map the house at the back of the lot is 2730 Kenwood. So please expand your site picture to include the second house on the lot because that is the correct dwelling. And move the note, change the description, etc. I wasn’t looking for the house where Anna and family lived in this post, just Thomas and Kate in this one. Looking at the directory and the envelope and the Sanborn map, it seems to me that Thomas lived in the front house. I sent you an email with the expanded map and a directory entry for Thomas Allen. In 1897, when this Sanborn map was done, Anna and family were living on Willard. They didn’t move to the rear of N. Capital until 1902. Am I missing something? I do plan to do more with the Sanborn maps and with Anna and my grandfather’s house too. Soon.